Making the company’s team feel like family is at the heart of James Stoner’s refreshingly down to earth approach to his ICT service business. The West Sussex based entrepreneur has come a long way in just over a decade since setting up his venture, JSPC Computer Services, in his spare time whilst working for a local primary school. Though he’s claimed a series of regional accolades for his own achievements and seen his company gain awards over the past few years, he is in no danger of letting such successes go to his head in a hurry. There has undoubtedly been plenty of hard graft in building an enterprise providing computer services to schools and businesses across Sussex, Surrey and Kent that is now turning over around £4 million a year. The two great motivating forces in his life have been his wife Shelley, who James explained has supported him every step of the way. So too has the man the IT specialist credits as his mentor, the late Dr Peter Harborow, who inspired him to believe that forging his own enterprise was possible. “I left home when I was 16 and a lot happened to me in the space of a few years after that - including meeting my wife Shelley at 19, we had our first child at 23 and I started the business all around that time. I was working at a local primary school as an IT technician and I felt that the local education authority was not supportive enough, so I realised there was a niche market for setting up a computer services business,” explained James. The company has grown substantially over the years experiencing many significant breakthroughs. James and the team at JSPC stay constantly up-to-date with the latest technology to ensure that their clients benefit from the best the technological world has to offer. The company are a cloud reseller for Microsoft Office 365, rolling the new cloud services out to businesses and schools throughout the South. It has not always been plain sailing against a tough economic backdrop over the past few years. There have been a number of challenges in maintaining and developing the business, yet according to the amiable MD, the tests that they’ve encountered have all added to the overall satisfaction in seeing it succeed. 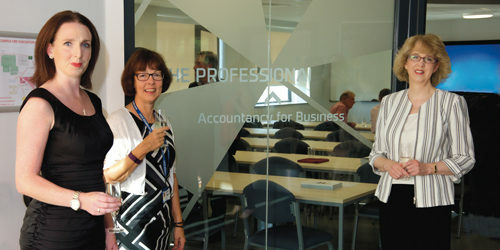 Perhaps one of the business’s most impressive moves has been partnering with Exa Education. This collaboration means that JSPC now offer competitive and effective school broadband packages as well as a range of other specialist ICT services to over 200 schools. While James remains focused on the management side of the business, he is fully prepared to be hands on. The office, based in Sompting, West Sussex, is typically a hive of activity responding to as many as 100 call-outs each day. Working closely with so many schools and businesses means that the team has to be ready to tackle a range of technical issues on a daily basis. JSPC are renowned for offering a full ICT technical support package, they take care of everything from installing servers and fixing hardware, to day-to-day tech maintenance, training services and everything in-between. In his opinion, having a sense of mutual trust within the team is fundamental to its operation. From witnessing the buzz surrounding the firm’s offices, it is clear the team has plenty on its hands in dealing with customer requests, but the sense of positivity from within the company has clearly been bolstered by a policy of investing in staff training. The company has its own internal development programme and its MD has shown willingness to bringing in new blood to the business through engaging with apprenticeship initiatives through the National Apprenticeship Service. In addition, James has also become a business mentor for emerging enterprises in Sussex, which he felt had been especially rewarding in providing practical advice. Playing an active role within the community is something that is especially important to the company. This includes contributing to the Love Your Hospital campaign to gain funds for Worthing Hospital and supporting the Worthing-based Atlantic Splash team in its bid to row across the Atlantic to raise money for the British Heart Foundation and Great Ormond Street Hospital. As for James’ own company, JSPC’s fortunes appear in fine form and the fi rm’s future looks very bright, thanks to a dedicated team and the enthusiasm of its Director. 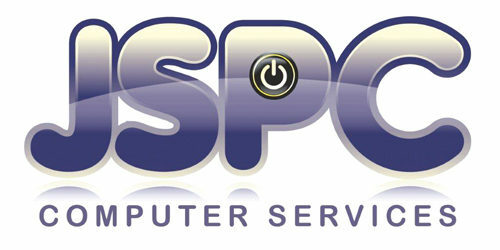 To find out more about JSPC Computer Services visit www.jspc.co.uk or call 01903 767122.